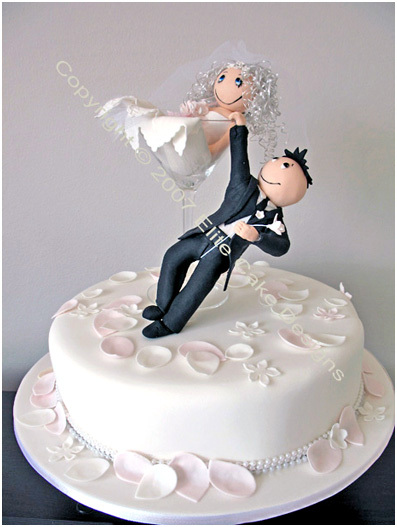 Funky Bride & Groom wedding cake design featuring the Bride in a glass. Cake can be designed with more tiers. Copyright © 2006 Elite Cake Designs. All rights reserved.